Rama Navami is a major Hindu festival that celebrates the birth of Shri Rama also known as Shri Ramachandra. Shri Rama is one of the principal deities of Hinduism. The Rama Navami or the birthday of Shri Rama falls on a propitious day when Punarvasu (புனர்பூசம்) star and the Navami (நவமி), the ninth lunar day of waxing moon period get together in the Tamil month of Panguni (பங்குனி) (English Month: March - April). This post details an overview of this festival for kids. Kacha, the son of Brahaspathi, the priest of the Devas also an ascetic joins as a disciple with Asura guru Sukracharya to learn the Sanjeevini Mantra. Devayani, the daughter of Sukracharya, falls in love with Kacha. The acceptance of Kacha as a disciple by the Asura guru ignited aversion among Asuras. They conceived.plot to kill Kachan. The poor Kachan was massacred twice. Upon the appeal of Devayani the disciple was brought alive by Sukracharya by chanting the divine Mantra. On the third occasion, Asuras worked out well. T his ascetic was not only butchered but also burnt into ashes. Sukracharya unknowingly consumed his alcoholic drink blended with ashes. How Kacha was brought alive? Whether Kacha learned the Mantra? What happened to Devayani - Kacha love story? Read this kids story to find the answer to the questions. Leave your comments. Mahabharata, the great epic story, was contemplated by the sage Veda Vyasa. These epic poems were scribed by Lord Ganesha as recited by Veda Vyasa. This puranic tale was retold to king Janamejayan, one of the descendants of Kuru dynasty. King Janamejaya disseminated this story to the mass. It reached well to the common people. I have made an attempt to narrate Ganesha – Vyasa episode for kids to understand. If you like this kindly leave your comments. Criticisms will also improve my writing. Ganesha is the popular Hindu god. You will find his idols everywhere in India. Look at his idol. Have you noted that Ganesha has an elephant head and the human body? His belly looks like a pot. His elephant head shows long trunk and the single tusk at his right side. Elephants normally will get two tusks. Have you ever wondered why Ganesha appear with only one tusk? There is a story to explain this. The story is related to Mahabharata and to the sage Veda Vyasa. Vyasa contemplated the Mahabharata story and wanted to narrate. The sage already compiled eighteen Hindu Puranas. By the power of his penance, Vyasa analyzed all Vedas and compiled and organized into four parts. So the sage was given the title as Veda Vyasa. Sage Parasara was Vyasa’s father. He only composed the famous Vishnu Purana, the first Purana of the Hindu pantheon. Satyavati was Vyasa’s mother. Matsyagandha (Fisher Woman with fishy smell) was her alternate name. Child Vyasa was born in the middle of an island of river Yamuna. The child had a dark complexion. Therefore he was named as Krishna Dwaipayana. Some believe Vyasa had some godly features of Vishnu. Brahma himself tutored him at his young age. At an older age, Vyasa meditated the story of Mahabharata. He wanted to write the story in poems (Slokas) for people to read. So he performed penance to Brahma. Brahma appeared before Vyasa. Vyasa prayed Brahma. He also requested his blessings and help to write Mahabharata. Brahma advised him to approach Ganesha for such help. Ganesha is noted for his intelligence. So with Ganesha’s blessings and support Mahabharata story can be composed easily. On hearing, Vyasa also performed penance to Ganesha. Ganesha was pleased by his devotion. He appeared before Vyasa and inquired about his solemn request. Vyasa appealed for Ganesha’s blessings and his help in writing Mahabharata. At once Ganesha has agreed to write Vyasa’s rendition. Both seated before each other. “I will write the story of Mahabharata in poems (slokas). But I have one condition. My stylus should not stop even for a minute,” Ganesha instantly answered. Ganesha readily agreed. Vyasa recited and Ganesha proceeded to write at a fast speed. Suddenly the stylus of Ganesha was broken. Ganesha never stopped for want of stylus. So he broke his left tusk and continued to write. Thus the Mahabharata story was completed. After this Ganesha was left with only one tusk. It is his right tusk. So people started calling Ganesha as “Ekadanta” (Meaning: single tusked god). Well! Do you know what happened to the story of Mahabharata after this? This story was orally retold by Vyasa to his son Suka Brahma Rishi. Suka Brahma Rishi, in turn, retold this story to Gandharvas and Rakshasas..
Vaishampayana, the disciple of Vyasa, retold this to King Janamejaya, the Pandava heir who ruled from Hastinapura. Do you know who is this King Janamejayan? Janamejayan was the son of King Parikshit and grandson of King Abhimanyu as well as the great-grandson of Arjuna. Janamejayan was instrumental in spreading the story to the public. It was from this point, the story being retold by men and women to their near and dear. Now I am retelling this story to the beloved kids. Tamil cuisine recognizes six tastes—sweet, sour, salty, bitter, pungent and astringent and Salty is one among the six tastes. It brings the best out of food . As the most essential ingredient, it can transform the character in our dish. In Tamil tradition salt is being represented as food and considered as icon for sensitiveness, loyalty and gratitude. In Persian / Urdu, the word 'halal' means righteous i.e., characterized by accepted standards of morality or justice; 'haram' means just the opposite, 'something that is morally reprehensible.' 'Namak-halal' means loyalist and 'Namak-haram' means disloyalty by virtue of subversive behavior. In Madras Regimental Center (MRC) (An Indian Army Regiment) the recruits (a.k.a “Thambis”), during their attestation parade, used to take the oath of enlistment or salt-oath after eating a pinch of salt and by placing their hands on copies of the Bible, Koran, and the Bhagawad Gita wrapped in Tricolor. This tradition is being observed since from the inception of MRC. Salt or common salt is "a white crystalline substance which gives seawater its characteristic taste." In the form of edible (table) salt it is popularly used as a condiment and food preservative. Salt is identified as an icon for friendship, hospitality, chastity, alliance, table fellowship, fidelity, fertility, blessing, curse and endurance, etc. "Salt has influenced human nutrition, health, politics, taxation, economy, freight, transport, and commerce throughout the ages. All human activities have been influenced by salt including economy, religious beliefs and practices, art, literature, psychoanalysis, superstitions, and exorcism." The word 'salt' originated from Proto-Germanic word "salto." and from Old English word "sealtan." Since salt was once rare and important resource, few metaphoric uses such as worth one's salt (1830), salt of the earth (Old English, after Matthew v.13) reflect its value. The Bible contains no fewer than 24 references to this substance. In olden days, the Roman warriors serving the empire were paid with a handful of salt each day as salary. Hence it was known as 'salarium' (Latin) or salt-money. Over a period time the officers in charge found it difficult to preserve the huge bulk of salt from rain and the transport of the same was difficult. Therefore salt was replaced with money. Old Latin word 'Solidus'-- a Roman Gold coin and Medivial Latin 'soldarius'-- one working for pay. France also followed the concept of salt-money and paid the warriors with a special coin called 'sol', and the payment was known as 'solde' (also the payment of a sailor). Hence the French call their soldiers, 'soldat'. Old French 'Soudier.' Sambalam (சம்பளம்) is the Tamil word. Samba (சமபா) means paddy (நெல்) + Alam (அளம்) means salt pan and Sambalam (சம்பளம்) means paddy and salt paid as wage. The practice was followed when barter system was in vogue. From 1790 salt, also known as 'sodium chloride,' in modern chemistry sense. It is an inorganic chemical compound formed from the ionic bonding of an acid with a base. This ionic crystalline chemical compound represents 1:1 ratio of sodium and chloride ions (atoms) and is represented with the chemical formula NaCl which means that for every sodium atom present, there is exactly one chloride atom. Sodium chloride do not contain carbon and hydrogen together in one molecule and it has a molar mass of 58.44 grams per mole. The white colored chemical substance appears as a solid, clear crystal with little or no odor. It is hygroscopic and also dissolves well in water and the ions in the crystals will separate when in solution. It has the density of 2.165 g/cm³ and 800.8 °C as melting point and 1465 °C as boiling point. Its vapour pressure at 865 °C = 1 mm Hg and solubility is at 25 °C = 35.9 g/100 g water. The ocean has about 35 grams (1.2 oz) of solids per liter i.e., the salinity of 3.5%. The solid do not conduct electricity and the aqueous liquid solution conducts electricity. It do not have combustion properties. 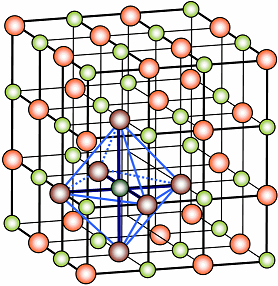 Sodium chloride molecules can also stack on top of each other in a structure known as a lattice and the solid crystals of sodium chloride will contain this lattice-type arrangement. Common salt is basically an electrolyte. Electrolytes are minerals that conduct electricity in our fluids and tissues. So basically our body really needs electrolytes, the main ones are sodium, chlorine, potassium, magnesium and calcium. Sodium is a vital nutrient. It’s a major component of extracellular fluid, and is essential for maintaining the volume of the plasma to allow adequate tissue perfusion and normal cellular metabolism. It keeps human body electrically conductive to maintain cell voltage for receiving or passing along information. Electrolyte prevents our cells from bursting too much water or from shrinking due to shortage of water. Common salt works fine as long as it contains sodium chloride, Human body lose salt by sweating and urinating and the salt intake (in our food) replaces the loss. The daily human intake of salt is minimum. The minimum physiological requirement of sodium simply to sustain life has been estimated by World Health Organization to be 5000 mg (5 gm) of sodium per day (5 gm per day). American Heart Association (AHA) has an even more strict guideline of consuming less than 1,500 mg of sodium (3.8 gm of salt) a day for general health and disease prevention. "The average daily salt intake was 10.98 grams per day for Indians aged above 19 against the WHO recommendation of 5 gm,",Excess salt and sodium intake has been blamed for a variety of serious health conditions such as heart disease, hypertension, and stroke. Salt was in use long before recorded history and it has shaped civilization since Neolithic caveman. Since the dawn of time, early human hunter gatherers and hunters obtained their salt from eating animal meat and plant diet. Salt was harvested thousands of years ago. Archaeologists in Bulgaria discovered the walled fortified settlement near the modern town of Provadia in north-east Bulgaria dating back to around 6050 B.C. That was well before the commencement of ancient Greek civilization. The excavation at this site commenced in 2005. The ancestors of this site boiled water fetched from a local spring and used it to produce salt bricks to preserve meat and they even traded salt, Almost all major ancient civilizations viewed salt as a precious commodity. In Tuzla, an ancient town inhabited continuously for more than 6,000 years, in Bonsia extensive salt deposits were found underneath the city. The name "Tuzla" is the Ottoman Turkish word for salt mine, Salt was first extracted in a salt mine Salina Turda located in the Durgau-Valea Sarata area of Turda, in Cluj County, Romania. The mine first mentioned in 1075, continuously produced table salt from the Middle Ages. 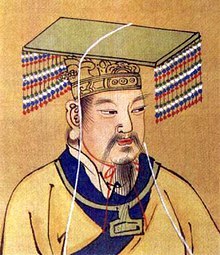 Chinese Yellow Emperor Huangdi (a.k.a Yellow Thearch), third of ancient China's mythological emperors, may be credited with for presiding over the first war ever fought over salt. Yuncheng Salt Lake, located in the southwest of Yuncheng city and the largest lake in Shanxi Province, has 4000 years salt production history. Chinese slaves and even the entire villagers harvested salt crystals from the surface of the lake. Assyrians commenced the "tactics of salting the earth" as a military tactic to destroy enemy farmlands. The civilization of Ancient Egypt, usually held to have begun around 3000 B.C when the lower Nile Valley became unified under a single ruler, was one of the earliest in world history. Egyptians may have been the first civilization to preserve fish and meat with salt. Egyptians also commenced exporting salt fish to the Phoenicians in exchange for expensive luxuries. They have found a kind of salt in an area called 'Natrun,' which referred to it as "the divine salt" or "Natron." It was not entirely composed of sodium chloride. Natron, harvested directly as a salt mixture from dry lake beds in ancient Egypt, was used for mummification processes. The salt absorbs water and behaves as a drying agent. Egyptians also used pure salt (sodium chloride) to preserve birds and fish and made them as funereal offerings in ancient Egyptian tombs. The nomadic traders used camels as the key means of trade-transport between the Mediterranean and West Africa and to cross the Sahara desert. They evaporated seawater from the Mediterranean Sea, Salt came from Libya, Tunisia, and Nubia. Trans-Saharan salt routes are heavily protected to keep the trade flourishing. "The amersal, or earth salt, is formed when the blazing sun heats a dry lake bed after July's sudden rains, drawing liquid to the surface where it is baked into a thick layer of salt mixed with sand. This can be refined for human consumption or is more commonly fed to livestock for its rich mineral content." Hallstatt (meaning "salt town"), a village in the Salzkammergut, on the western shore of the Hallstätter, a region in Austria, is known for its production of salt, dating back to 800–450 B.C. Hallstatt culture is usually linked to Celtic culture and the early European Celts of Hallstatt begin mining salt. In German "salz" means "salt" and the country's towns like Salzburg, Hallstatt, and Hallein located on the banks of Salzach river derived their names with salt. From Chinese written records dating back to 800 B.C. we learn about salt extraction by the people of China using clay jars. They filled the jars with ocean water and boiled away to evaporate the water and collected the salt crystals left with in the jars. Later during 700 - 600 B.C. (the Eastern Chou dynasty) they used iron pans instead of clay jars to boil water for salt and they saved the fuel usage considerably. During 500 B.C. Hallstatt Celts adopted to open salt pans on the sea-shore to produce salt. The method of evaporation to produce salt was followed during 500 B.C. by Etruscans in Italy, and the early Romans, and the Carthaginians in North Africa. . The Roman Empire is considered as one of the greatest civilizations in history. It was founded in Rome in 753 B.C. The Roman Empire included most of what would now be considered as Western Europe, stretching from the Rhine River to Egypt and from Britain to Asia Minor. This timeline highlights the major events in the history of Ancient Rome. The history of Roman civilization goes from 753 BC to 27 BC and then from 64 AD to 1453 AD. The salt was mined by Romans from deposits in the ground. The mined salt was dissolved in water to get brine solution. They used uncovered salt pans (Roman name 'Salina') to boil the brine water to obtain salt. To form salt crystal, they used blood as coagulating (binding) agent. Roman salt pans were discovered in Algarve, Portugal. The Roman Republic and Empire cautiously exercised control over the price of salt and they intentionally escalated salt price to raise money for wars. 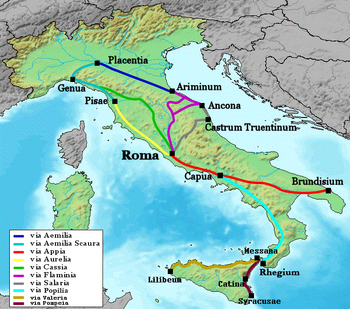 The Via Salaria was an ancient Roman road in Italy leading from Rome to the Adriatic Sea. The Latin word Via Salaria means salt. It was one of many ancient salt roads in Europe. In this route Sabines came to fetch salt from the marshes at the mouth of the river Tiber. So it was known as "Sabine Trail." The word "Salary" originated from the Latin word "Salarium," and it has the root sal, or "salt." In ancient Roman empire, it is specifically meant as the amount of money allotted to a Roman soldier to buy salt. Salt was an expensive, yet essential, commodity. The word "salad" comes from the French salade of the same meaning, from the Latin salata (salty), from sal (salt). Romans boiled vegetables with water, drained, blanched, and seasoned with pepper, salt, olive oil and lemon juice. Collumella, a Roman writer wrote about ancient Roman salad, which also reflect the richness of the land. These salads were known for their abundant varieties. Salt is known since pre-Vedic times and is certainly as ancient as human civilization. Sushruta , an ancient Indian physician known for his Sanskrit treatise the Compendium of Sushruta (Sushruta-saṃhita) (600 B.C. ), mentions four kinds of salt: rock salt, sea salt, lake salt and earth salt. 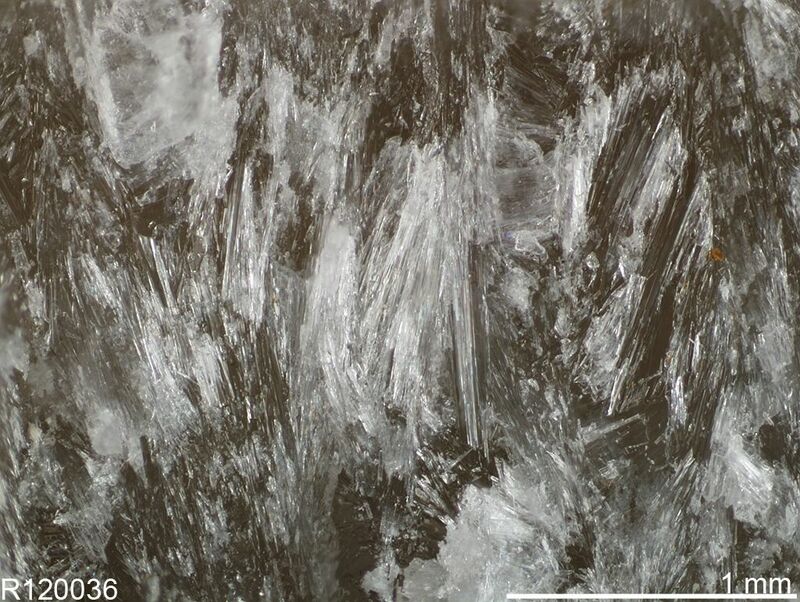 Saindhava lavana (aka Sendha Namak in Ayurveda) is naturally occurring mineral form and isometric crystals of Sodium Chloride. It is best known today as the "Himalayan Pink rock salt." The word “Saindhava” means the ancient Sindhu Kingdom cited in the Indian epic "The Mahabharata." “Lavana” means “salt”. So Saindhava Lavana means salt that comes from the region of the Indus river valley. The Sindhu kingdom was located in the Indus river valley in modern day Pakistan. 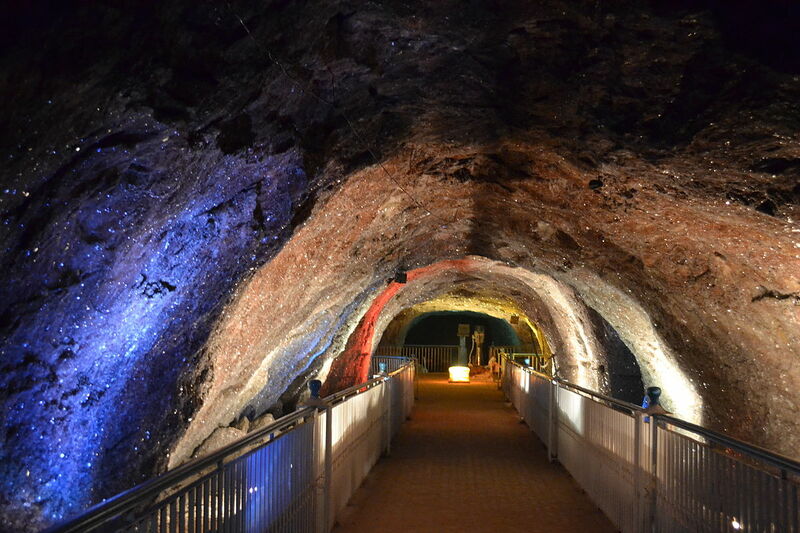 The famous Khewra Salt Mine, one of the primary sources of Saindhava Lavana, is located in the foothills at the head of the valley beside one of the tributaries of the Indus. Black salt or Kala Namak is also a type of rock salt, which it contains sulfur content in addition to sodium chloride. 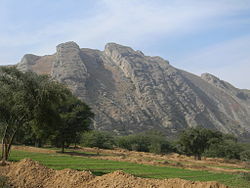 Salt Range, the series of hills and low mountains between the valleys of the Indus and Jhelum rivers, lies between the Indus River and the Himalayan Range in the north of what is Pakistan today. Salt range extends approximately 186 miles (300 km) long from east to west, and from 5 to 19 miles in width, in the central and eastern parts and its average height is 2,200 feet. In addition to the common salt, the Salt Range also contains coal, gypsum, and other minerals. Thousands of years ago Indians mined salt in Salt Range. The Indian Salt Industry was an ancient industry. The tax was levied on salt in India since the earliest times and has always been a subject of criticism. Kautilya's Arthashastra, ancient Indian treatise on statecraft, economic policy and military strategy, provides a short account on salt manufacturing process. The salt extraction activity was supervised by "Lavanadhyakasa," an official representing the state during Mauryan empire. Solar evaporation of sea water was carried out in salt pans in coastal regions. The state maintained a system license for manufacturing salt for the fixed fee or tax during this period. During Pallava reign in South India salt industry was monopolized by the state. The Chola emperors in Tamil Nadu showed keen interest in the development of salt industry and encouraged taxation for salt. Hence number of salt pans situated along the eastern coast are referred to in Chola and later Pandya inscriptions. Large quantities of salts were transported through ancient highways. Salt was produced in the coastal regions of Bengal, Bombay, Rann of Kutch and in inland regions of Rajasthan, Uttar Pradesh and Central India. The British East India Company greatly showed interest in escalating salt tax. In 1835, East India Company imposed special taxes on Indian salt to facilitate its import. Special Taxation paid huge dividends for the traders of the British East India Company. Heavy taxation on salt continued even after the Crown took over the administration of India from the Company in 1858. The Indian public vehemently condemned the stringent salt taxes imposed by the British. The first session of the Indian National Congress held in Bombay in 1885 raised the issue of the salt tax. 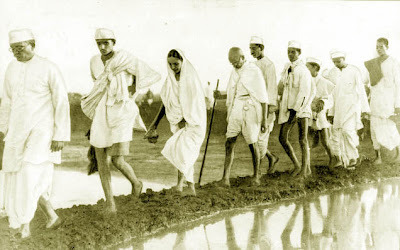 Number of protests were observed in several parts of the country during 19th and early 20th centuries and this resulted in Mahatma Gandhi's Salt Satyagraha in 1930. Similar Satyagrahas were held in other parts of the country. India ranks third among the Salt producing countries in the world after China and USA. The salt industry in India has shown remarkable growth and achievement during the last 60 years. At the time of our independence in 1947 we imported salt from the United Kingdom and Adens and now the country has not only achieved self-sufficiency in production of salt to meet its domestic requirement but also in a position of exporting surplus salt to foreign countries. There are about 11799 salt manufacturers engaged in production of Common salt in an extent of about 6.09 lakh acres in the Country. Gujarat contributes 76.7 per cent to the total production, followed by Tamil Nadu (11.16 %) and Rajasthan (9.86%). In Tamil Nadu, salt is produced primarily in the three districts of Nagapattinam, Tuticorin and Marakkanam in Villupuram. It is well known that the Sangam landscape was divided into five tinais (திணை) or five geographical landscapes. The physiographical lay-out of Tamilakam, its flora and fauna, its hills and valleys, rivers and lakes, its deserts and sandy beaches, formed the basis for the habitation of five different group of people. Kurunji (குறிஞ்சி) was the home of Verpan and Kodichi as well as Kuravan and Kurathi; Palai (பாலை) was the home of Vitalai, Kalai, Meeli, Eyinar, Eyirriyar, Maravar and Marathiyar; Mullai (முல்லை) was the home of Kurumporai, Kizhathi, Thondral Manaivi, Idaiyar, Idaichiyar, Ayar, Aychiyar, Kovalar and Pothuvar; Marutham (மருதம்) was the home of Ooran, Makizhnan, Kizhathi, Manaivi, Ulavar, Ulathiyar, Kataiyar, Kataisiyar and Kalamar and Neithal (நெய்தல்) was the home of Serppan, Pulamban, Parathi, Nuzhaichi, Nulaiyar, Nulaichiyar, Parathar, Parathiyar, Alavar and Alathiyar. Neithal Tinai corresponds to seashore and adjoining terrains. Blue Water Lily Blue Nelumbo or Kuvalai (குவளை) or Kazhuneer (கழுநீர்) or Neithal (நெய்தல்) flower (Nymphae odorata) is mentioned as the native flower and hence the name Neithal Tinai. Lord Kadalon (a.k.a Varunan) was worshiped by the native people. The Neithal terrain is known for seashore and adjoining coastal land dotted with sand well Crocodile (முதலை), shark (சுறா) and Kara fish (காரா மீன்) were native animal and fish. Sea-crow (நீர்க்காகம்), swan (அன்னம்) and Andril (அன்றில்) were the birds. Kandal (கண்டல்), Punnai (புன்னை), Gnazhal (ஞாழல்) trees occupied their terrain. The native music note of the land was Sevvazhi Note (செவ்வாழி பண்) and the drum used was Navay drum (நாவாய்ப்பறை) and the stringed musical instrument was Vilari Lute (விளரி யாழ்). The vast, unbroken coastline of Tamilagam was located in Neithal region. The fishermen engaged in fishing from ocean using fishing net. Salt was highly valued and considered as a precious commodity during Sangam period. Womenfolk barter fish and salt and get paddy, meat and wine. Salting and drying the fish took place to preserve seafood. They constructed fishing boats and skilled in surfing the waves. They lived in coastal villages i.e., Pakkam (பாக்கம்) and pattinam (பட்டிணம்). Ammoovanar (அம்மூவனார்) was a great Tamil poet during Sangam period. He composed 127 poems. Akananuru (அகநானூறு) 6 poems; Ainkurunuru (ஐங்குறு நூறு) 100 poems ie., second hundred on Neithal landscape (நெய்தல் திணை); Kuruntokai (குறுந்தொகை) 11 poems; and Natrinai (நற்றிணை) 10 poets. Of the 127 poems 125 poems composed on neithal tinai (landscape of the sandy coastal terrain) and the other two poem 127 from Kuruntokai (Kurinji tinai) and poem 397 from Natrinai (Palai tinai). What the hero said to his heart, or What the hero said to his friend: Stating the price of salt grown in saline land, going to far away places with dusty paths, the lives of salt merchants with thick goads must be good when they go on the long paths in groups. 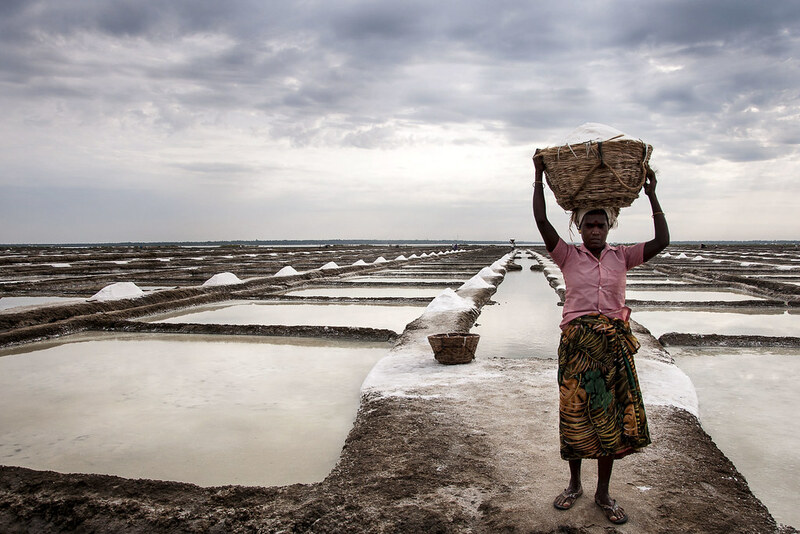 The salt pan industry was an ancient industry in Sangam period. Neithal people who lived near the sea ventured upon salt production and sale. Salt producers were known as 'Alavars' (அலவர்) and their women as 'Alathiyar.' (அலத்தியர்). They are harvesting salt without plowing. (உவர் விளைவு உப்பின் உழா உழவர். Natrinai 331: 2.) The dark brackish waters produce white salt (இருங்கழிச் செறுவின் வெள் உப்பு விளையும் Natrinai 311:4). The place of salt extraction was known as 'Alams' (அளம்) or Uppalams (உப்பளம்) i.e. uppu (உப்பு) + alam (அளம்). Villages like Kovalam (கோவளம்), Peralam (பேரளம்) etc., got their names due to the presence of salt pans. Poet Ulochanar (உலோச்சனார்) was a great Tamil poet during Sangam period. He composed 35 poems (Puram 3 and Akam 32). His 31 Akam poems describes about the neithal landscape of the sandy coastal terrain. He has also described about fishermen and fisher-women as well as salt merchants and bartering of salt and fish. In Natrinai poem 354 he describes the process of salt extraction in salt pans and about long rows of wagons that carry salt crystals. What the heroine’s friend said to the hero. The uproars of the long rows of wagons that carry salt crystals made by the hot boiling sun in salt pans, near the misty seashore with long sandy stretches of groves. Akananuru 20: 1-3, Ulochanar, What the heroine’s friend said to her, as the hero listened nearby.Our father gave us fatty fish, that he had caught in the huge ocean, to dry. We rested in the sweet shade of a punnai tree growing in the sand, and chased away the marauding birds. The salt merchants were known as 'Umanars' (உமணர்) and their women as 'Umattiyars' (உமத்தியர்). They traveled with their families with train of bullock carts (நோன்புகட்டுமணர் ஒழிகை Sirupanatruppadai). Their vast caravans were loaded with salt and hawked door to door and village to village. Salt merchants traveled in groups and reached villages to sell their salt. Salt merchants traveled with their families in trains of carts. The Long Path that Salt Merchants take: The wagons of salt merchants have wheel rims which surround perfectly placed spokes, massive wheel hubs made from huge trees, thick, strong wooden axle bars appearing like two fortress gate cross bars united, roofs woven with grass looking like rain clouds carried by the mountains during monsoons, and cages for domestic fowl resembling the huts of guards who protect fields against elephants. In a wagon, there is a small mortar with holes in the shape of the knees of a cow elephant with tusks like the sprouts of bamboo, that dangles from the cart near the cage. The salt merchant’s wife, holding her child, is seated on a pickle pot circled with ropes, that resembles the legs of female elephants whose tusks appear like bamboo sprouts, and also resembles the sweet, small drums with holes that are tied with ropes and played when drama actresses dance in dancing arenas. She hits the oxen on their back and drives the cart, and strong men with thick shoulders and firm bodies wearing garlands made with fine leaves of neem trees with clusters of flowers on branches, walk near the cart with curved yoke with small holes tied properly with large ropes, calling out the price of salt, in the long path that takes the salt merchants owning many bulls, to many towns. On a wagon pulled by strong oxen, owned by a salt merchant, wearing on his chest a fine garland, carved with an iron chisel from wood pieces from a delicate nunavan tree. A female monkey that is like his daughter plays with a shell rattle stuffed with lovely pearls resembling the teeth of tender women. Its opening a thin slit as narrow as a sword’s sharp edge. His sons wear bright jewels, and their mother, the wife of the salt merchant, is pretty with a delicate waist and swaying five-part braid that hides her back. Like a lame bull abandoned by salt merchants and unable to live without water and grass, he attacked his enemies and took their lives. Oh lord of the seashore! When salt merchants come to the seashore and sell heaps of salt that is harvested without plowing, delicate-looking young girls who play with their friends as they dry fish and chase birds, climb on the boats on the shore and say, “This is my father’s boat,” “This is your father’s boat,” and count the sturdy boats of their relatives who went fishing in the ocean. Spatial variations in food production and consumption practices have been noted for thousands of years. Bartering was introduced by Mesopotamia tribes and has been around Sangam period. A barter system, dates all the way back to 6000 B.C., is an old method of exchange. The Sangam people had brisk internal trade. The wholesalers, retailers and hawkers had indulged themselves in brisk trade. Salt was the most popular item exchanged by several civilizations. Sangam people utilized the bartering system to get their food and spiced they needed. Paddy, produced in abundance in South India, was the common medium of exchange. In the beginning of the Sangam Age, the barter system of trade was followed. Generally, the people exchanged their commodities with their neighbors. For example, the people of Kurinji region exchanged honey with the people of Neithal region for getting fish and salt. Likewise, the Mullai people gave their milk products to Marudham people to get rice from them. What the heroine’s friend said to the hero The fishermen ride their boats on tall waves in the wide ocean and pull their nets with fierce strong fish, which their rich younger sisters with leaf skirts on their loins sell, calling out prices, on the streets with festivals, in a beautiful village with groves! What the heroine’s friend said to her, as the hero listened nearby Happy fishermen sell their big fish that they caught happily at this confusing evening time. This is a beautiful, small village where crabs play in stinking sand, in the front yards of houses. Poet Ammoovanar describes in Akahanuru poem 140 about an young women who carried head loads of salt and exchanged for paddy from peasant woman. She shouted Young women also carried head loads of salt and exchanged for paddy from peasant woman. What the heroine’s friend said to the hero, She brings food, white rice she got from bartering salt. In Pattinappalai poet Kadiyalur Urithirankannanar describes the sturdy boats of salt merchants sailed in backwaters and they carried paddy. The paddy was obtained by salt merchants by bartering salt.,. Gardens and Groves of Kaviripoompattinam: In the huge Chola country with many small towns, sturdy boats with paddy got by bartering salt, are tied to posts on the shores of the backwaters, like horses tied in a stable. Salt is a remarkable thing in human history. Salt served as money at various times and places. As a highly valued item of trade, salt trade routes crisscrossed the globe. It also served as a monetary exchange. The quest for salt has even resulted bitter warfare. In short, salt or common salt, the white granular substance, has been essential to all life, especially with respect to its long and varied history. பரமசிவன், தொ. பண்பாட்டு அசைவுகள். காலச்சுவடு. 2010. ரூ 200.00. 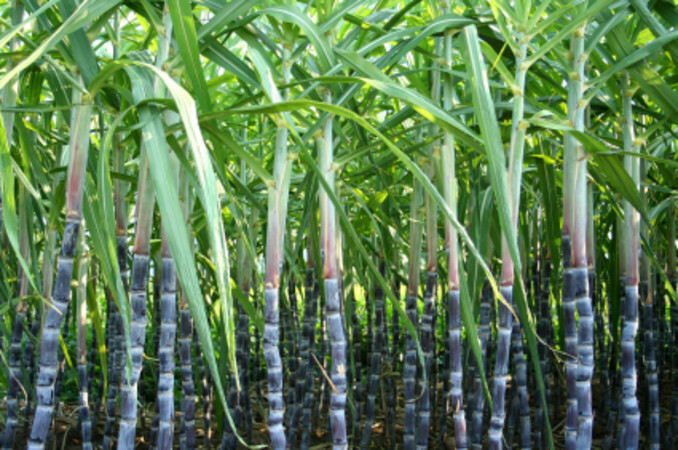 Sugarcane is a tall perennial, thick-stemmed, colourful, soft and juicy, plant growing erect even up to 5 to 6 meters. Botanically the genus Saccharum is in the family Poaceae, sub-family Panicoidae, in the major group Angiosperms (Flowering plants). "In 1753, Linnaeus established this genus Saccharum along with the other crop plants in his master-piece Species Plantarum." There are around 200 species under genus Saccharum. Six species have been identified in the genus Saccharum viz., S. officinarum, S. barberi, S. sinense, S. robustum, S. edule and S. spontaneum. Saccharum officinarum is the type species of sugarcane. Approximately 70% of the sugar produced globally comes from S. officinarum and hybrids using this species. "The word saccharum owes its origin to the Sanskrit word 'sarkara' or 'sakkara' meaning sugar. This became 'sukkar' in Arabic and 'Sakharon' in Greek." “This plant is born of honey, with honey do we dig for thee. Of honey thou art begotten, do thou make us full of honey! At the tip of my tongue may I have honey, at my tongue’s root the sweetness of honey! In my power alone shalt thou then be, thou shalt come up to my wish! Sweet as honey is my entrance, sweet as honey my departure. With my voice do I speak sweet as honey, may I become like honey! The word "Chakara" was frequently referred in many Sanskrit texts. Ayurvedic authors Charaka and Susruta mentioned the sugarcane in many places. Susruta samhita listed 12 varieties. The best of which were called Vamshika (with thin reeds) and Paundraka (which came from the Bengal region). The sugarcane bow and the five flower arrows are described as the weapon of the god Kamadeva. Sugarcane was originally grown for the sole purpose of chewing. Extraction of sugarcane juice and preparation of sugar by boiling the juice commenced from India. during first million B.C. According to Jain legend their first Thirthankara Rishabadeva (Adi Nath) was the one who taught the people of extraction of sugarcane juice. Machines (jiantra) for crushing sugarcanes are mentioned in a description of the winter season in the Upamitibhava prapancha katha, a Jain literature in Sanskrit.. The sugarcane plant and the cane-sugar are frequently mentioned in the Institutes of Manu. The earliest known production of crystalline sugar began in northern India around 400 B.C. Indus Valley civilization shows evidence on their knowledge about sugarcane and sugar extraction. Indus Valley people used crystallized sugar. .The sugar technology was commercially perfected around 700 A.D.
Sugarcane was also found in Persia in 510 B.C. and the Persian military expedition records have information about sugarcane. Nearchos, the admiral of Alexander the Great also confirms the same. Vedic Aryans in India cultivated barley, rice and sugarcane. Sangam literature abounds in reference to the sugarcane. Agriculture was the main occupation of Sangam Tamils and importance of agriculture in Tamilakam was well recognized through Eight anthologies and Ten idylls. There was a steady progress in the reclamation of forests and wastelands during Sangam era. Chola king Karikala is considered as the pioneer in ancient Tamilakam to initiate the task of reclamation. In Pattinappalai poet Kadiyalur Urithirankannanar vividly describe the act of reclamation of king Karkalan. The fertility of the lands watered by the Cauvery is a recurring theme of Tamil poets. Cultivation was apparently carried on in the time tested methods by the peasants of Tamilakam. The natural forest produce of Pari's principality included bamboo, rice, jack-f ruit, the valli root, and honey. Ragi, sugarcane, pepper, turmeric and cotton were cultivated. Sugarcane was cultivated in the prosperous 'Marutam' fields surrounded by water as a wet crop along with the paddy. What the heroine’s friend said to the unfaithful hero, refusing him entry: Oh man from the fine town, where a heron eats and sleeps on a mango tree whose tender sprouts gently rubs its body, and a field tortoise rests in the warm sun on the side where sugarcanes are leaning in the prosperous field surrounded by water! Athiyaman Neduman Anji was one of the most powerful Tamil Velir cheiftain of the Sangam period. Poet Avvaiyar was his court poet. It is established from Avvaiyar's Purananuru poem 99 that Atiyars have introduced sugarcane cultivation in the Tamil country. கரும்பு இவண் தந்தோன் பெரும் பிறங்கடையே. that great heir (Atiyan) who brought us sugarcane, precious to obtain like divine nectar, from the land beyond. பெருங்களிற்று அடி வழி நிலைஇய நீரே. 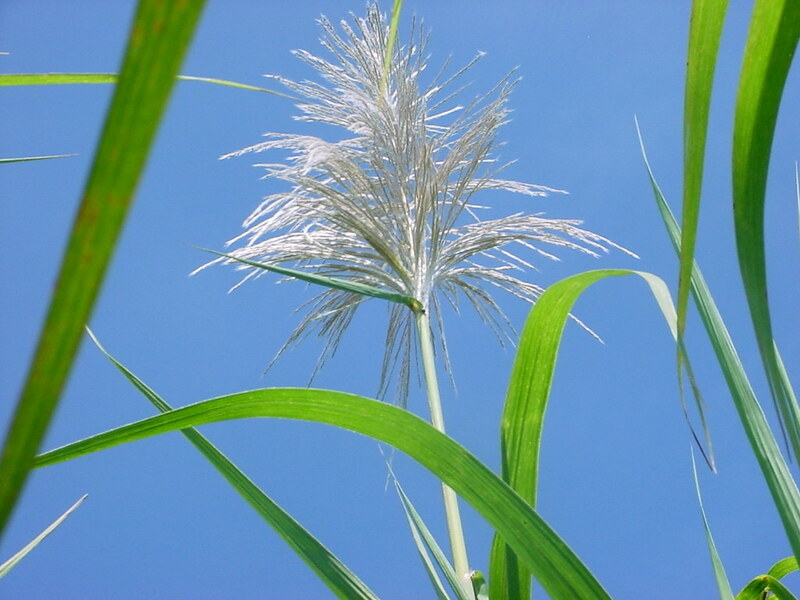 In the vast fields, thick- stemmed, white flowers of tall sugarcane sway in the northerly winds like the poolai flowers of summer. The Chola wet land received water from Cauvery river and water irrigation was abundant to raise paddy. They have also cultivated sugarcane around the paddy fields. The sugarcane provided a fence to the paddy field. It is also learned that the Chola farmers cultivated double crop. Your country alone is truly a country where lovely, cool Kāviri flows and feeds the land, and appearing like spears, dancing flowers of sugarcanes with nodes sway! Oh man from the town with sweet streams, where thick, fine paddy grows, high like lifted tufts adorning the horses owned by rich kings with drums, and field guards protect the tender paddy grains from old cows by tying them to kānji trees with ropes made from the vines of beautiful bittermelon and pakandrai, and feeding them sugarcane! In the wasteland city, whose leader is a spearman who grants no sleep to kings of cool cities where the loud sounds of a sugarcane press in the hard land cause a vālai fish with a thick neck to leap nearby. What the heroine’s friend said to the hero: You desired my pretty friend who resembles Thenur, where the king donates chariots, and sugarcane presses roar like bull elephants. Since you abandoned her, her forehead has become pale, and many have noticed it. elephants that are attacked by an āliin the bamboo growing mountains where clouds play. There you can drink sweet sugarcane juice as much as you desire. Kaviri’s Pride: Kaviri, which starts in the mountains and ends in the ocean, does not fail. Its flowing water spreads and showers abundant prosperity. There are continuous yields from wide fields. Fragrant smells waft from sugar mills and heat from their fires wilt the waterlilies in nearby fields, making them lose their beauty. The smoke of sugarcane pressing factory spreads around the mountain heap of straw and appear like the dark cloud. Kolli Hills (கொல்லி மலை), the "Mountains of Death," is a small mountain range located in Kollimalai taluk, Namakkal district, Tamil Nadu, India. Most parts of the Kolli hills are located in Namakkal district and few parts are situated in Tiruchirapalli district. The Kolli Hills forms part of the Eastern Ghats. It is also forming part of the Trichy & Namakkal Forest Division of Tamil Nadu. The geographical coordinates of Kolli mountain ranges are 10°12' - 11°7'N latitude and 76° - 77°56'E longitude and the hill is 305 m (1000 feet) high from sea level and spans an area of 280 sq.km. It is located 24 km towards east from Namakkal, 27.4 km from Rasipuram, 40 km from Karur, 53 km from Salem, 67 km from Attur, 107 km from Tiruchirapalli, 200 km from Coimbatore, 258 km from Banagluru and 331 km from Chennai. There are several villages located in this hill range. The postal head office is Semmedu PIN code 637411 and the village comes under Valavanthi Nadu Panchayat. This popular village in Kolli hills has few shops, hotels, primary health center and telephone exchange. Also there is a statue of Valvil Ori, renowned Sangam chieftain. Namagiripettai, Thammampatti, Namakkal and Rasipuram are the nearby towns to Kolli Hills. Kolli Hills is an unspoilt , unknown Hill station with a pleasant cool climate which never rises above 30ºC or falls below 13ºC. It is one of the few places that still retains its natural beauty and is untouched by commercial activities and exploitation. Located on the Eastern Ghats, Kolli Hills offers the most splendid of the surrounding greenery. It is an ideal nature's retreat for tourists and locals. It has 72 hair pen bends to reach the top of the hills. To enjoy the salubrious climate plan a holiday to this nature’s destination soon. The Kollihills is connected by road and you can easily reach there from Namakkal or Salem or Attur. Nowadays the Bus service is provided up to Arappaleeswarar Temple. BSNL (earlier DOT) established the first Telecommunication networks (LDPCO) in 1977 and afterwards the Telecom facilities are continuously expanded depending upon the requirements at Kolli hills. Agasagangai: Agasagangai, the waterfall of the Aiyaru river, is truly the spectacular sight as the water cascades down from 300 feet, covering all around. The visitor needs to climb down the 1000 and odd steps along the mountain edge leading to the waterfalls. It is very close to Arapaleeswarar temple. Arapaleeswarar temple: The Arapaleeswarar Temple, dedicated to Lord Shiva, is popularly believed to have been built by Valvil Ori around first or second century A.D. The temple is located in Periyakoviloor close to Agasagangai waterfall. The temple bear inscriptions dating back to the Chola period. 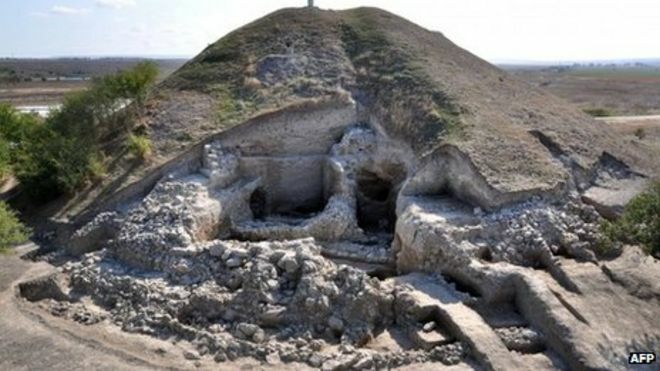 Megalithic burial site was also discovered closer to the temple. Semmedu: Popularly known village to locals and is located on the main road leading to hill summit. At Semmedu the state government organizes Valvil Ori Cultural and Tourism Festival in August. The festival is being organized during August, since people from 16 villages used to assemble together to celebrate Adi (Tamil month) festival during Valvil Ori's rule. Vaasaloorpatti: An important village on the main road. The village houses the Government Fruit Farm. is located. Paddy varieties are cultivated in the valley and a variety of hybrid and native fruits such as banana, jack fruit, oranges, coffee, pepper and spices are grown on the slopes here. Solakkadu: Solakkadu is another important village and one of the highest points in the hills and is. located on the main road leading to hill summit. The spectacular viewpoint inside the Highways Bungalow premises is worth visiting. Sangam literature vividly depicts the lofty peaks of Kolli hills covered with clouds. Due to abundant rainfall Kolli Hill is blessed with fragrant flowers like iruvatchi, jasmine and kanthal. Kolli Hills is known for the special variety of paddy grown here. Kolli Hills is believed to have by Kollipavai ("Maiden of death"), the local deity. 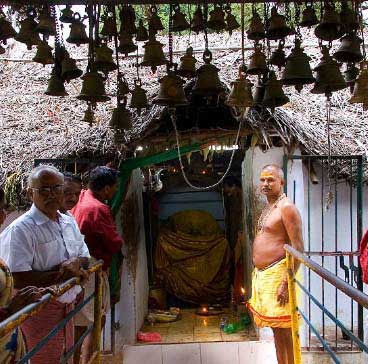 The legend states that the sages chose Kolli hills for a peaceful place to do their penance. Despite, the demons marched aggressively to the hills to interrupt the penance. The sages invoked the goddess Kollipavai to save their rituals. The goddess became ferocious and annihilated the demons. The goddess Kollipavai is still being worshiped here as Ettukai Amman by the people in Kolli hills and her smile is revered by the locals. 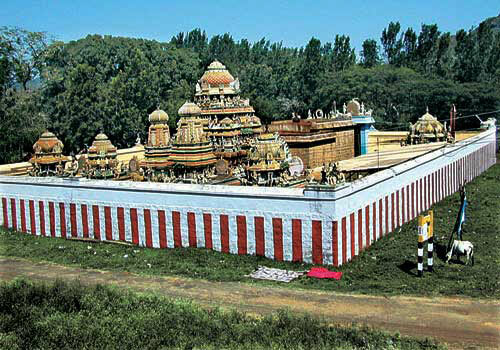 Ettukai Amman Temple is an ancient temple located four km from Kolli Hills. The small temple, a palm leaf hut not protected by doors, attracts numerous pilgrims on Amavasai or no moon days. The idol appear with eight hands and hence the name Ettu Kai amman (Goddess with eight hands). The ideal is often covered with sandal paste to cool the ferociousness. Sangam literature and Silappatikaram have references about this deity. Kuruntokai poem 89 refers Kolli-Kutavarai (கொல்லிக் குட வரை), a mountain slope located on western side of Kolli Hills. Kutamalai (குடமலை) means western side mountain. There was an amazing painting of Kollippavai drawn on the face of the rock. Also there was a crystal clear fountain nearby, wherein bluish Kuvalai (blue waterlily) flower just in blossom. of Poraiyan with heavy jewels! (Poraiyan is a name used for the Chera kings). What the hero said to his heart: The dark-petaled, blue waterlily blossoms from Kuttuvan’s western mountain springs! (Kuttuvan is a name used for the Chera kings). ஏமம் ஆகும் மலை முதல் ஆறே. In Kurinji terrain the hero consoles his lady love when she feared about the dangers to be encountered on their path. O beautiful, dark lady who is pretty like the new Kolli goddess that has been installed by goblins on the west side of the mountain where beneficial jack fruit trees grow! I think about your beauty like the sun with spreading rays. It is protection to me when I come on the mountain path! Who is this girl who has come here, her face surrounded by hair braids decorated with mature clusters of blossoms from thick, shade-providing gnālal trees near the pond in the grove in town, appearing like the wide moon with sweet beams, her locks with pollen hanging low on her shoulders? There, she is like a statue made by a skilled artist. Was she created from beautiful parts of many women? Is she Death that attained a woman’s form due to its hatred for men? Tamilakam (தமிழகம்) during Sangam period was divided among the three political powers, the Cholas, Pandyas and Cheras and the three capitals were Pukar (புகார்), Madurai (மதுரை), and Vanji (வஞ்சி). They are known as crowned kings (முடியுடை மூவேந்தர்). Whenever the crowned kings conquered the feudal territories, they never annexed them to their kingdom. Instead they allowed the feudal to function as an autonomous states under their suzerainty. Thus there were number of feudatories or chieftaincies in Tamilakam These chieftaincies evolved as a landed aristocracy and in course of time they might have acted as soldiers, warriors, generals and even ministers to their suzerains.. Some chieftains exercised vast powers of internal autonomy within their respective territories. However they owned some kind of nominal allegiance to one or more of the the crowned kings. Number of references can be seen about the internecine warfare between the crowned kings and the vassals in Sangam literature, The reason for these feuds could be the breaking of personal loyalty to their over-lords and refusal to pay tribute. The chieftains are also tribal clan in character. For example Pegan belongs to Aviyar tribe or clan, Athiyan and Ori belongs to Malavar, tribe or clan. Velir chieftains ruled various parts of Tamilakam and enjoyed the privilege giving their daughters in marriage to the crowned kings. They are celebrated personalities and treated next to the crowned kings. Those chieftains who acted as the guardians of the garrisons (known as Kurumbu) in the border areas. 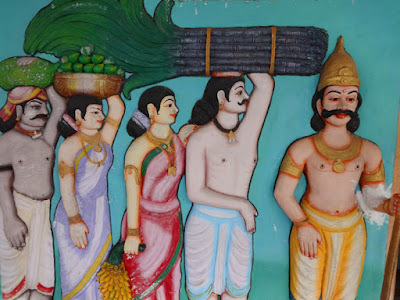 Sirupanatruppadai, one of the Ten Idylls, is sung on Oyman Nalliyakodan, the chieftain Oyma nadu by Nallur Nathathanar of Idaikkazhinadu, The poem lines 84 to 112 also speaks about the greatness of the Seven Great Benefactors or Bestowers or Patrons of the last Sangam era a.k.a Kadai ezhu vallalgal (கடையேழு வள்ளல்கள்) and they include: 1. Pegan of Aviyar clan (வையாவிக் கோப்பெரும் பேகன்), 2. Vel Pari, the Lord of Parambu (வேள் பாரி), 3. Kari (மலையமான் திருமுடி காரி), 4. Ay Andiran (ஆய் அண்டிரன்), 5. Athikan (அதிகன்), 6. Nalli (நளி மலை நாடன் நள்ளி) and 7. Valvil Ori (வல்வில் ஓரி). Athikan is also known as Athiyaman. Purananuru poem 158 sung on Kumanan (குமணன்), chieftain of Mutiram hills (முதிரமலை) by Poet Perunchithiranar (பெருஞ்சித்திரனார்) also mentions about the greatness of the Seven Great Benefactors or Bestowers or Patrons of the last Sangam era a.k.a Kadai ezhu vallalgal (கடையேழு வள்ளல்கள்). Instead Athikan (அதிகன்) at srl. no. 5, the poem includes Ezhini (எழினி), the chieftain of Kutirai hills (குதிரைமலை நாடு). The 16 tribal counties called as "nadu" (நாடு) once constituted the historical mountain kingdom of Kolli Hills. and they include Valavanthi nadu (வாழவந்தி நாடு), Valappur nadu (வளப்பூர் நாடு), Ariyur nadu (அரியூர் நாடு), Thinnur nadu (தின்னனூர் நாடு), Guntur nadu (குண்டூர் நாடு), Selur nadu (சேளூர் நாடு), Devanur nadu (தேவனூர் நாடு), Alandur nadu (ஆலந்தூர் நாடு), Gunduni nadu (குண்டுனி நாடு), Tirupuli nadu (திருப்புலி நாடு), Edapuli nadu (எடப்புலி நாடு), Chitur nadu (சித்தூர் நாடு), Perakkarai nadu (பெரக்கரை நாடு), Peyil nadu (பெயில் நாடு), Pallappadi nadu (பள்ளப்பாடி நாடு) and Pudukombai nadu (புதுக்கோம்பை நாடு). (The 16 countries still survive and there are about 200 villages located in Kolli Hills.). Sangam literature speaks about two rulers of Kolli Hills 1. Valvil Ori (வல்வில் ஓரி), Sangam Tamil Chieftain; and 2. Perum-cheral Irumporai, the Chera ruler. Valvil Ori picked up an enmity with Perum-Cheral-Irumporai, whose capital was Karur. Ori was killed by Malayaman Tirumudi Kari in a pitched battle .Kari gave Kolli Hills as a gift to Perum-Cheral-Irumporai and the Chera succeeded after Valvil Ori's death. Rain-like great generosity of Ōri who never ceases to wage murderous battles, lord of a mountain decorated by clouds, wearing curved bracelets that shoot out rays, who gives awayeach day, elephants with adornments. He was one of the Seven Great Benefactors or Bestowers or Patrons of the last Sangam era a.k.a Kadai ezhu vallalgal (கடையேழு வள்ளல்கள்). In Sirupanatruppadai (சிறுபாணாற்றுப்படை), poet Nallur Nathathanar of Idaikkazhinadu (இடைக்கழி நாட்டு நல்லூர் நத்தத்தனார்) eulogizes Valvil Ori in the poem lines 107 - 111. Ori, owner of a horse named Ōri, who donated to dancers and musicians, fine lands with hills and young, tall surapunnai trees with dense branches bearing fragrant, bright flowers. He fought with Kari who rode on a horse named Kari. In Purananuru poem 158 poet Perunchithiranar praises about Valvil Ori in the poem line 5. 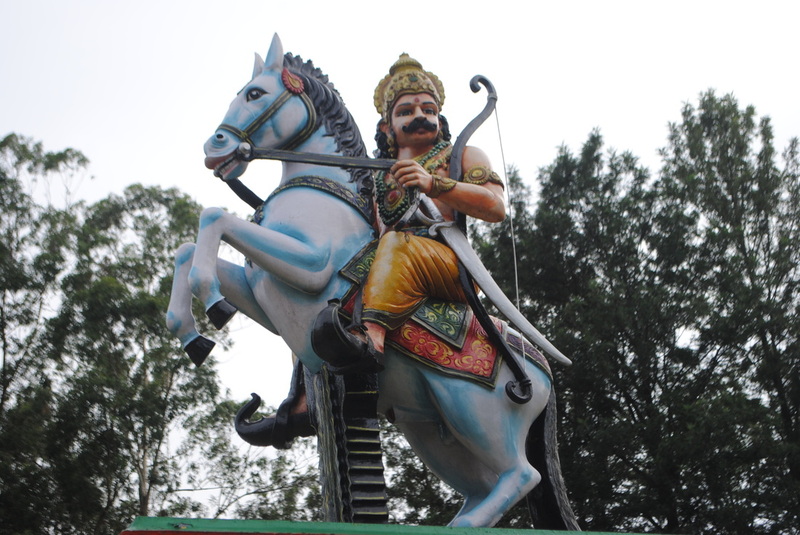 The chieftain Valvil Ori ruled Kolli Hills. Valvil Ori ruled Kolli Hills. He was known for his rain like generosity (மாரி வண் கொடை). He was the 'lord of a mountain decorated by clouds and known for his murderous battles. He is popularly known for his skill in archery and therefore he was named as "Valvil Ori" meaning "great skill in archery." Vanparanar, a Sangam poet eulogises Ori's archery skill in Puranauru poem 158. Ori shot an arrow from his bow. The arrow struck down an elephant, further it went and killed a tiger, dropped a spotted stag, felled a boar and embedded in an iguana in a nearby deep hole. He was widely famed for his skill in killing, the one who shoots with his strong bow. He shot an arrow that felled an elephant, killed a tiger with gaping mouth, dropped a spotted stag with hollow horns, felled a boar with head like mortar, and embedded in a monitor lizard in a nearby deep hole. Who is the archer who shoots with such skill? Ori was eulogized for his generosity and valour in five of the eight anthologies (Ettuthokai) books such as Akananuru (அகநானுறு), Kuruntokai (குறுந்தோகை), Natrinai (நற்றிணை), Pathitrupathu (பதிற்றுப்பத்து) and Purananuru (புறநானுறு) as well as in one of the Ten Idylls (பத்துப்பாட்டு) book - Sirupanatruppadai (சிறுபாணாற்றுப்படை). Sangam poets such as Arisil Kizhar (அரிசில் கிழார்), Ilankiranar (இளங்கீரனார்), Avvaiyar (ஔவையார்), Kapilar (கபிலர்), Kalladanar (கல்லாடனார்), Kurunkozhiyur Kizhar (குறுங்கோழியூர் கிழார்), Thayankannanar (தாயங்கண்ணனார்), Paranar (பரணர்), Perunkunrur Kizhar (பெருங்குன்றூர் கிழார்), Perunchitranar (பெருஞ்சித்திரனார்), Mathurai Alakkar Gnazhalar Makanar Mallanar (மதுரை அளக்கர் ஞாழலார் மகனார் மள்ளனார்) lauded Kolli Hills and Ori. Kapilar, Nattattanaar, Paranar and Perunchitranar eulogise Valvil Ori as the benevolent ruler of Kolli Hills. Kurunkozhiyur Kizhar, Perunkunrur Kizhar and Thayankannanar glorify the Kolli Hills. Perum Cheral Irumporai (பெருஞ்சேரல் இரும்பொறை), the Chera monarch was the son of Selvak Kadungo Vaazi Adan (செல்வக்கடுங்கோ வாழி ஆதன்). Eighth decad of Patitrupattu anthology narrates his seventeen years of rule. He ruled his country from Karur, the Chera capital (கருவூர் ஏறிய ஒள்வாட் கோப்பெருஞ்சேரல் இரும்பொறை). The siege of Karur by the Chola monarch Kulamutrathu Thunjiya Killivalavan (குலமுற்றத்துத் துஞ்சிய கிள்ளி வளவன்) developed a pitched battle and the Chera won the battle and assumed the title "Ko-Perum-cheral-Irumporai (கோப்பெருஞ்சேரல் இரும்பொறை). Athiyaman of Tagadur was under the overlordship of Cheras. When Athiyaman failed to accept the authority of Cheras, Perum Cheral Irumporai defeated him in a pitched battle. His invasion, destruction and victory of the city of Tagadur of Athiyaman chief Ezhni is mentioned in Tagadur Yathirai (தகடூர் யாத்திரை), a literary work and Irumporai was known as Tagadur Erintha Perum Cheral Irumporai (தகடூர் எறிந்த பெருஞ்சேரல் இரும்பொறை). Malayaman Tirumudi Kari was one of the autonomous chieftain who ruled Malainadu. Tirukovalur, an ancient town, was his capital. Mullur (now located in Gingee taluk, Villupuram district) was the most important town in his country. முள்ளூர் மன்னன் கழறொடிக் காரி (Akananuru 209). Kotunkal (கொடுங்கல்) was another town of Kari located on the banks of the river Pennai. He was one of the Seven Great Benefactors or Bestowers or Patrons of the last Sangam era a.k.a Kadai ezhu vallalgal (கடையேழு வள்ளல்கள்). He was also one of the contemporary of Valvil Ori. Sirupanatruppadai (lines 91 - 95) and Purananuru poem 158 (lines 6 - 7) eulogise Tirumudi Kari. The chieftains were subdued by the empire builders i.e., Muvendars - Chera, Chola and Pandya of ancient Tamilakam and their paramountcy was accepted. Kari was a vassal to the early Chola king Kulamutrathu Thunjiya Killivalavan. Over the period of time he broke his loyalty to the over-lord and wore a crown and declared himself as Tirumudi Kari. He was a revolting vassal and was one of the most dangerous threats to the crowned king and neighboring vassals. Athiyaman Neduman Anci was the chief of the renowned warrior clan of Malavar. Tagadur was his capital (identified with modern Dharmapuri district). Kari waged war on Tagadur against Athiyaman Neduman Anci. It was an attempt fueled by his longtime desire to become an emperor equivalent in power to the Cholas. Kari was defeated and lost Kovalur to Athiyaman. Perum Cheral Irumporai was in agreement with Malayaman Tirumudi Kari and the Chera was expecting Kari's support in defeating Valvil Ori (வல்வில் ஓரி), the chieftain of Kolli hills (கொல்லிமலை). Kari defeated and killed Ori and took Kolli Hills. An Akananuru poem 209 and Natrinai poem 320 register this event. Mullur King Kari with warrior anklets and bracelets, owning bloody spears, gifted to the Cheras after killing Ori of unfading fame and strong bows. The whole town laughs with great uproar. This is like when Kāri killed Ori of ancient victories, and then entered his wide avenue which had no match, and his people raised uproars. Kari captured the Kolli Hills and gifted it to Perum Cheral Irumporai (Akananuru poem 209). Perum Cheral Irumporai on his part defeated and killed Athiyaman and retrieved Tirukovalur and handed over to Kari. The capture of Kollik-kuurram (கொல்லிக்கூற்றம்) and Tagadur (தகடூர்) by the Irumporai and the pitched battles are vividly referred in Patirruppattu anthology. From then on Paranar commenced addressing the Chera as "Perum Cheral Irumporai, as the Lord of Kolli hills. "(who is also known as Poraiyan) and as "Poraiyan Kolli" (பொறையன் கொல்லி) (ref. Akananuru poem 82 and Kuruntohai poem 89). Kolli-kutavarai belongs to Cheras who won battles ‘வெல்போர் வானவன் கொல்லிக் குடவரை’ (Akananuru 213). Silappatikaram also praises Perum-cheral Irumporai as the Lord of Kolli Hills (‘கொல்லியாண்ட குடவர் கோவே’)(ref. Silappadhikaram Pattumadai Chapter 24-verse 26). This suggests that Silappatikaram could have composed after Cheras captured Kollik-kuurram (கொல்லிக்கூற்றம்). கொல்லிப் பொருந கொடித் தேர்ப் பொறைய! Lord of the mountain country with banners on your chariots! You are the king of Kolli Mountain where bamboo forests rise high, and clouds spread on tall peaks. His successor Cheraman Yanaikat Chey Mantharan Cheral Irumporai (யானைக்கட்சேய் மாந்தரஞ்சேரல் இரும்பொறை) is being addressed by Poet Kurunkoliyur Kilar as "O killer King! Ruler of Kolli Mountain!" ஓங்கு கொல்லியோர் அடு பொருந (Purananuru 22). Kolli Hills can be reached by road from Namakkal and Salem. There are less frequent bus services to Kollimalai, Periyasamy Kovil, Arappaleeswarar Kovil, Vilaram, Mekkani Kadu. Belukkurichi is a village located at the foot of the Kolli Hills. After passing through Kalappanaikenpatti, the Ghat road begins at Nadukombai and proceeds via Karavalli to the top of Kolli Hills. There is a check-post at Karavalli. From Karavalli to Semmedu the running would be one hour or more. There are 70 hair-pin bends in this ghat route. At Solakkadu the road gets diverted to two different directions leading to Ettukkai Amman Temple and Arappaleswarar Temple. Nearest railway station is Salem, 53 km from Kolli Hills. Nearest Airport is at Tiruchirapalli, 90kms from here.